It was a perfect start to another WINGSPAN TOUR of Coto Donana and Extemadura, the weather was superb with great light and very little wind. The birding was excellent although not so many waders were present as there normally are. We all met up at the Holiday Inn Hotel just outside of Malaga Airport, I had collected Brigd and Steve from the centre of Malaga and then Sarah and Richard from the Airport, whilst the other three, Peter, Dinah and Alex had spent the night at the hotel. It was 12 noon by the time we set off, we drove along the autovia towards Sevilla and after almost an hour we turned off at Laguna Fuente de Piedras. We had seen a few species along the way but not that many, Western Jackdaw, Common Raven, Common Kestrel, Eurasian Hoopoe, Booted Eagle and White Stork were our main sightings. We jumped out of the bus along the approach road to the visitor’s centre at Fuente de Piedras where a seasonal pool was full of birds. Lots of birds but not that many species, Greater Flamingo, Black-winged Stilt, Pied Avocet, Redshank, Common Sandpiper, Little Stint and three small ‘peeps’ Greater & Little Ringed Plovers and Kentish Plover. Other species included dozens of Gull-billed Terns, they were milling about all over, especially over the grassy fields. We also saw Whiskered Terns in smaller numbers. 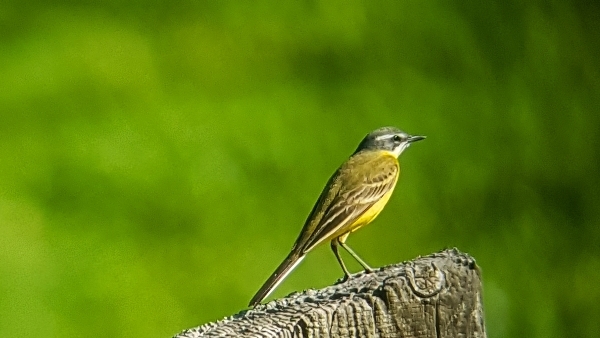 There was a lack of waders species and we never encountered a single Yellow Wagtail, this area is usually full of them at this time of the year. Walking around on the boardwalks and along the main track which circumnavigates the visitor’s centre we added a couple of species but several were heard and not seen, such as, Cetti’s Warbler and Reed Warbler, we did see my favourite species the Corn Bunting. Our Canadian companion, Alex, who had never birded in Europe before was enjoying the likes of Goldfinch, Linnet, Eurasian Magpie, Common Moorhen and Eurasian Coot. Then we saw our first Great Spotted Cuckoo, it was a short view but I think nearly all of the group saw it. Walking round to the hides we gained a little height giving us a much better perspective of the enormous size of the main Laguna, it was covered in Greater Flamingos, thousands of them, stetching out as far as the eye could see. I don’t know what the count is this year but it looked like over 10,000 pairs were out there. We also scoped several pairs of Black-necked Grebes and heard Common Nightingale. 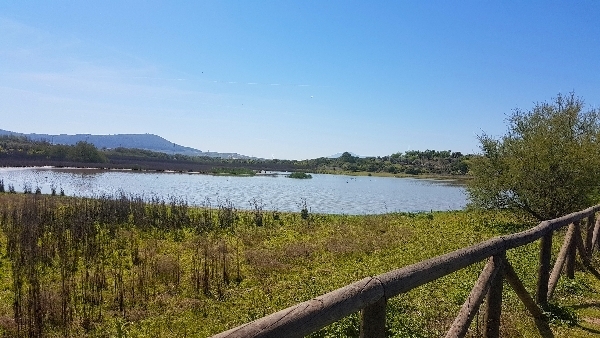 From the hide overlooking the small pool of water called Laguneto, we had much better views of Black-necked Grebes, also Red-crested Pochard, Common Pochard, Northern Shoveler, Whiskered Terns and the star bird the White-headed Duck. We also had great views of a second Great Spotted Cuckoo, this one fed in a bush and at times showed really well. 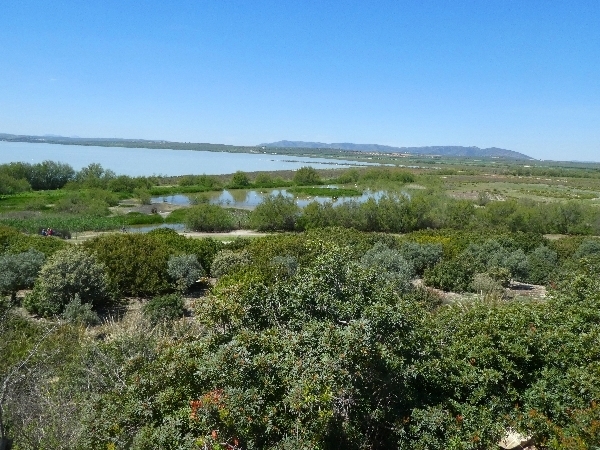 We added Sardinian Warbler and Serin and we heard a second Common Nightingale as we continued our birding, we concluded our walk in the visitor’s centre around the ice-cream fridge. 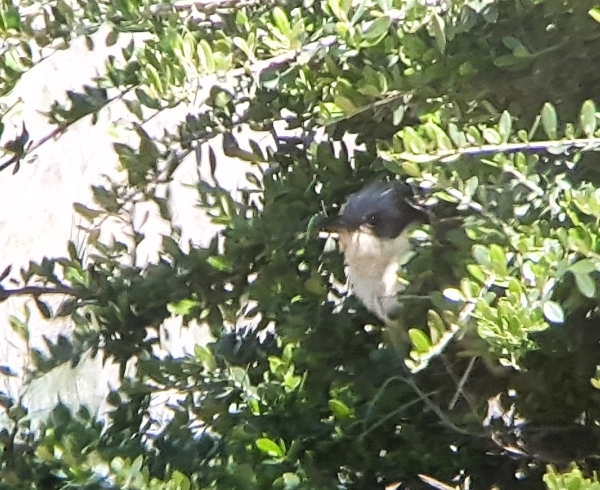 As we walked back to the bus we saw another Great Spotted Cuckoo flying across the car park, this one went a long way off over the nearby village of Fuente de Piedras. 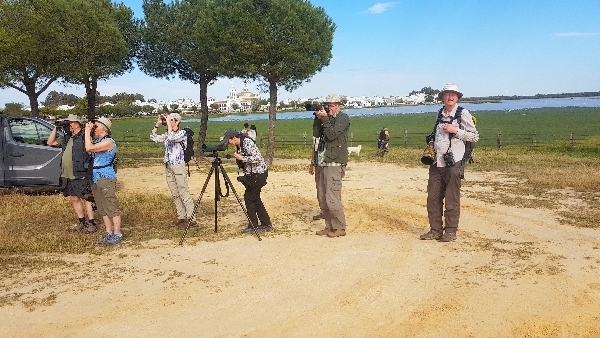 After a short break for lunch at a roadside restaurant we journeyed on through Sevilla and on to El Rocio in Coto Donana, Black Kites and White Storks became more prevalent in the sky as we approached Donana. Once at El Rocio we stopped to view the huge laguna, The Laguna Madre de Marismas, which sits on the edge of this unique and beautiful town. We were blown away by the numbers of birds in this shallow laguna with dozens of horses and a herd of Red Deer, the beauty of the whole scene set in front of us was amazing. The colours were enhanced by the exquisite afternoon sunlight it truly was a sight to behold. We added several new species to our day list including dozens of (Western) Yellow Wagtails of three Subspecies, ‘flava, Iberiae and flavissima’ we also saw lots of Eurasian Spoonbills, dozens of Glossy Ibis, Black-tailed Godwits, even more Northern Shovelers, Pied Avocets and Black-winged Stilts. The sky was full of hirundines, also Black Kites and very high up we saw many Griffon Vultures and White Storks. Before we left to check-in to our hotel we added European Bee-eater to the list. After settling in to our rooms we met again at 7:30pm when a nice cold beer was enjoyed out on the terrace. We took in the lovely ambience of this ‘town without tarmac’, sand-filled streets keep any traffic noise to absolute minimum. We enjoyed a lovely meal at 8pm after which a very tired group took an early night.